We offer pet-friendly accommodation for those who do not like to leave their best friends at home. Highland Giants Estate is a country venue offering privacy, peace and quiet and panoramic views, a large variety of bird and wildlife, as well as premier fly-fishing. <br /><br />We offer four up market self-catering cottages sleeping up to six people. All cottages are very private, fully equipped, wonderfully decorated, always perfectly clean, and situated in beautiful natural surrounds nearby water. All units feature braai facilities, fully equipped kitchens, DStv, and fireplaces. A house cleaner service is also available at an additional cost, payable directly to the house cleaner.<br /><br />In addition, the estate is a fun-filled paradise for your four-legged friends and we offer pet-friendly accommodation for those who do not like to leave their best friends at home.<br /><br />Highland Giants Estate is within a short driving distance from Dullstroom, Lydenburg, Pilgrims Rest, Graskop, Sabie, Hazyview, The Echo and Suwala Caves, Nelspruit, the Kruger National Park and a variety of spectacular waterfalls. 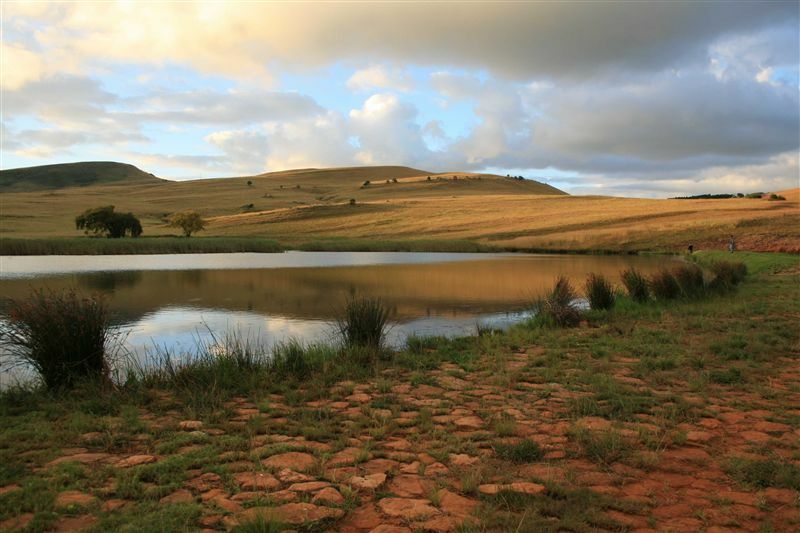 We are one of the premier fly-fishing establishments in the region and offer trout fishing in our selection of five dams, five weirs and 3.5 km of Wild River. "If regeneration of body and mind is what is needed then a stay at Highland Giants Estate could very well be the answer.Ultimate quiet and tranquility as much as is neededWe had a very enjoyable few days at HGE." 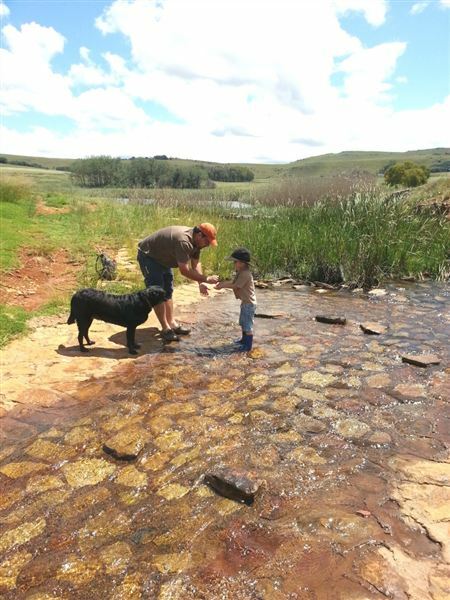 "My wife, I and our 3 young children and our good friend visited Highlands Giants Estate in January 2014 (This was our second stay at the farm). We stayed in the Farmhouse which comprised of 3 bedrooms and all the necessary you expect from a self catering establishment. The farmhouse has a fence around it which allowed us to let the children play outside without a worry that they may fall into one of the well stock dams. The children loved trying to fish and could not wait to experience this every day. We also experienced almost all 4 seasons in one weekend but loved every moment of it!Join them on facebook for regular specials!" "Beautiful cottage with breathtaking views of the mountain and river. Perfect location for young kids to ride their bikes, hike and play in the river. Ideal for a breakaway from the hectic city life. Will definitely recommend." "Comfortable, well equipped cottage in beautiful, tranquil surroundings. Superb hospitality." "We had a wonderful and relaxing time at this real gem. If you desperately need to get away from the city life, this is the place to come. The sound of the water, the calm stroll of the Zebra&apos;s and playfull Springboks made it a piece of heaven. Well done to the owners." "Had a fantastic time at Highland Giants Estate! Immaculate facilities and a really enjoyable stay."